Andreas Gabriel from Berlin Motor Books is a well-known author who’s books are known to be detailed and worth to be considered to add to your library. All the books by Andreas Gabriel tend to receive good reviews. Nothing else with the new book that was published last December 2018. In the book “Porsche 964 : 30 years 1988 – 2018”, Andreas Gabriel deals in dept with the Porsche 964. Even though the Porsche 964 has not always been the most admired model among the different Porsche 911 series, no one can deny that the 964 model line was one of the most important in the history of the Porsche 911. Heating problems caused a downfall and in the mid-1980’s there was a fear the Porsche 911 would cease to exist. Luckily that was not the case. Even without official instructions, and with the threat of impending dismissal, the engineers continued their development work with a view to eliminating the 911’s few weak points. The result is known. In 1988 the Porsche 964 series was presented with a technology that could be called state-of-the-art at the time. Porsche introduced the first-ever production model all wheel drive sports car, and was way ahead of the competitors. While exploring the book “Porsche 964 30 years :1988 – 2018” you’ll read all this and much, much more on the Porsche 964 series. Just as in the previous book “Porsche 911 – Aircooled years 1974 – 1989“, each and every model in the series receives attention, including all the specials that many of you aren’t even aware of. With the help of the Porsche Archives, Andreas Gabriel could use many previously unreleased pictures. 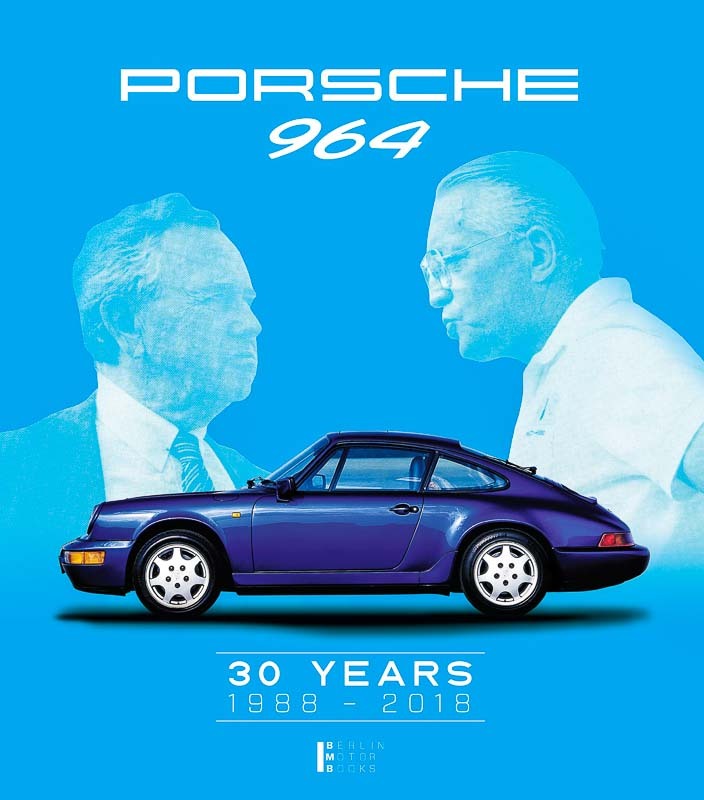 “Porsche 964 30 years :1988 – 2018” includes detailed buying advice and price trends. Renowned Porsche expert Tobias Kindermann compiled an exclusive technology and statistics section about all Porsche 964s made between 1989 and 1994.